JEB Custom Project’s end-to-end services include customised fabrication and specialist facade installations as well as bespoke interior features, windows & oversized doors. Our professional team of specialists are involved from day one, with briefing and project feasibility, design development and costing through to prototyping, fabrication, shipment and installation. As a cohesive turn-key solution, we can manage and control each stage of the process, coordinate with other trades & suppliers to eliminate the unexpected and deliver a seamless, smooth process. 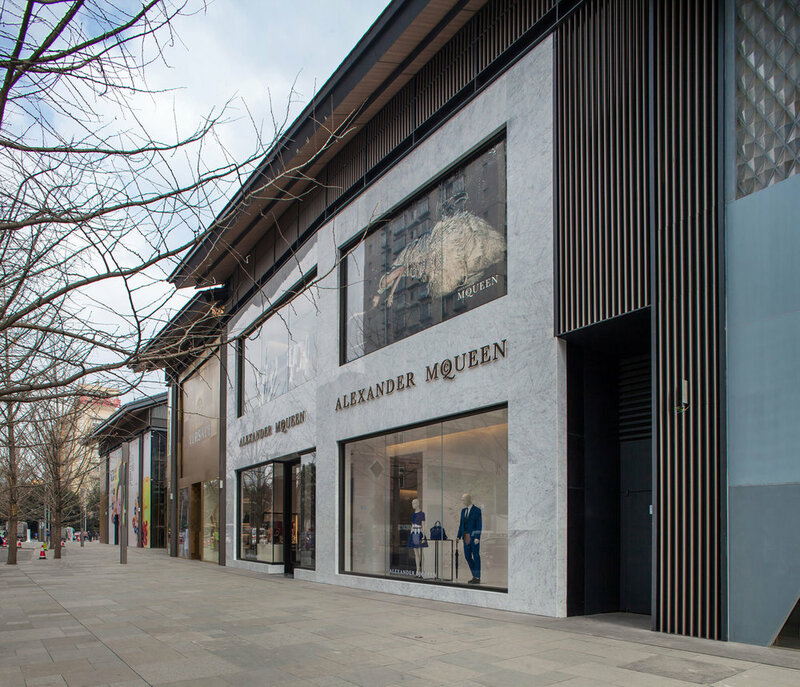 Whether you’re looking for a unique and inspiring custom interior feature or retail exterior installation that enhances your brand experience, explore our project portfolio or get in touch to find out how we can help. We believe facades are the crucial interface between the interior and exterior brand experience and a successful façade must respond to numerous technical and commercial factors. JEB Custom Projects is experienced in delivering retail and podium facades that range in complexity, material palette and scale. Our specialist services cover every stage of facade project delivery, from ideation and design development right through to installation. Our diverse scope of custom architectural features includes bespoke glass & metal installations, including balustrade, lobby features, metal screens and LED integration. We are unlimited by materials, scale and form and are dedicated to pushing the boundaries of materiality and fabrication. Our network as part of The JEB Group and with other leading global suppliers allows us to source and integrate the most cutting-edge products and fabrication techniques. Our customised fabrication services for windows and large oversized doors draw on over 20 years’ experience in door and door hardware solutions. We can design from scratch or customise any of JEB’s bi-folding, sliding, and pivot doors to suit any project condition. Our scope of work includes industrial bathroom partitions in boutique hotels to large-scale automatic pivot doors with electronic switchable glass. We can integrate a range of materials and elements and work with you closely to advise on the most suitable details, materials, finishes and fabrication approaches. JEB Custom Projects is a specialist in bespoke industrial design solutions. Our clients are global brands who understand that unique design solutions are a powerful tool for attracting business and creating a strong statement of identity.